Mount Aconcagua is the highest mountain in the Americas at 6,962 m (22,829 ft.). It is located in the Andes mountain range, in the province of Mendoza, Argentina. 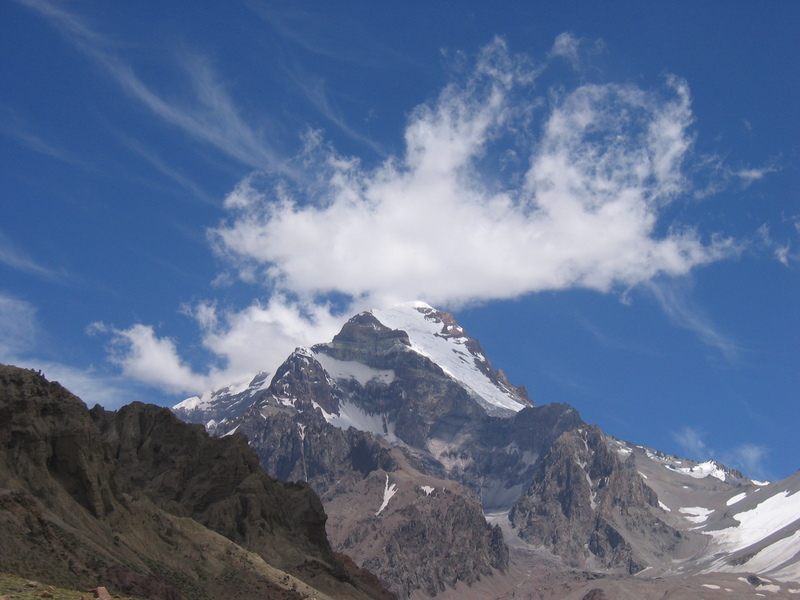 The mountain and its surroundings are part of the Aconcagua Provincial Park. The mountain has a number of glaciers. Aconcagua is considered technically an easy mountain if approached from the north, via the normal route, although the effects of altitude are severe and altitude sickness affects most climbers to a certain extent, mostly because several climbers underestimate the risks of the elevation and of cold weather, which is the real challenge on this mountain. Given the weather conditions close to the summit, cold weather injuries are very common.